Where to now? We could drive south from here, through Lairg and head for home. 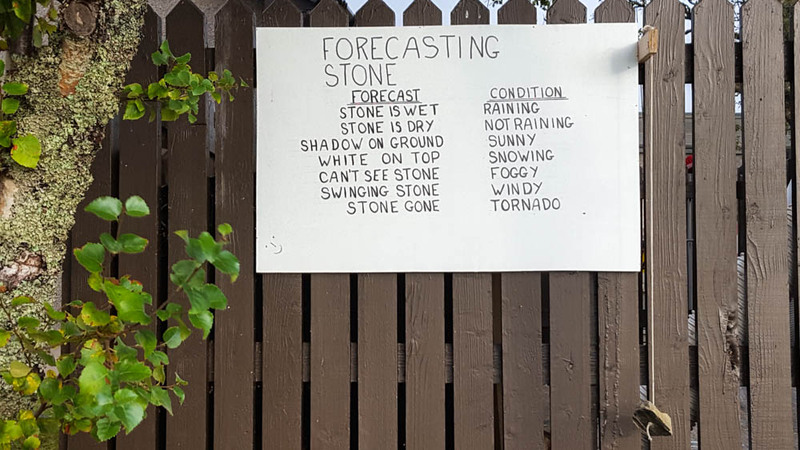 Although the wind had dropped, the weather was far from fair! In the end we decided to head north again through Strath Naver to Bettyhill and resume the NC500 route. We would decide later where we would stop for the night. There are several marked stopping places on what is called the Strath Naver Trail, mostly drawing attention to the clearances and the devastation wrecked on the area. This part of the drive and later as we passed Dunrobin Castle at Gospie, the seat of the Sutherland family, we were very much aware of this terrible period of Highland history. The road was narrow but in good condition and quiet, so we made good time, enjoying the very different scenery to the rugged coastal route. 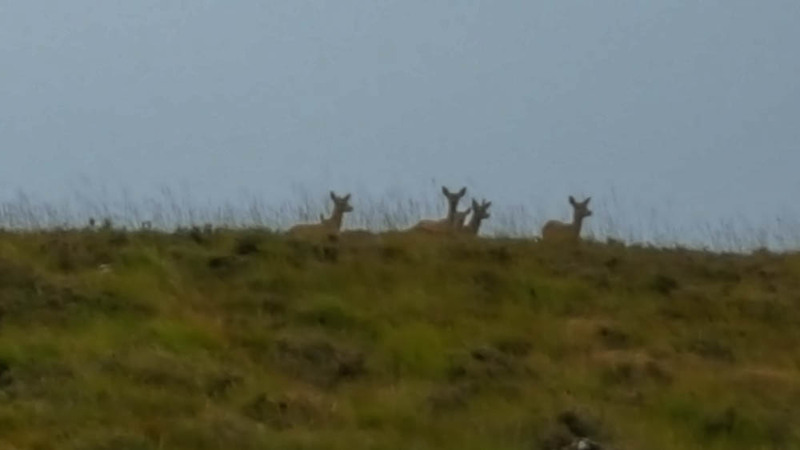 At one point a herd of hinds popped their heads over the high ground, just a few yards from the road. Getting ready for the rut, perhaps. I did not have time to get my camera; all I have to record the encounter is a fuzzy picture taken with my phone through the driver’s window. 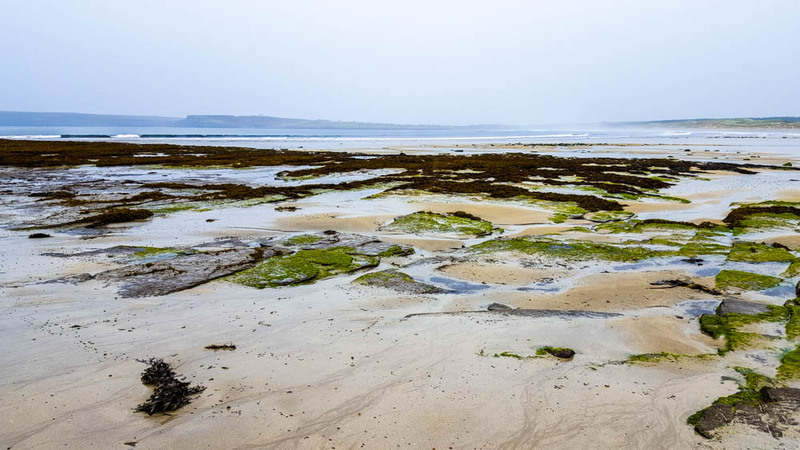 We joined the coast road again at Bettyhill and headed east, taking note of the various caravan sites which we might use for another trip along the NC500. The countryside became less interesting though,, not so picturesque as we had encountered up to now, and the rain came on again quite heavily. 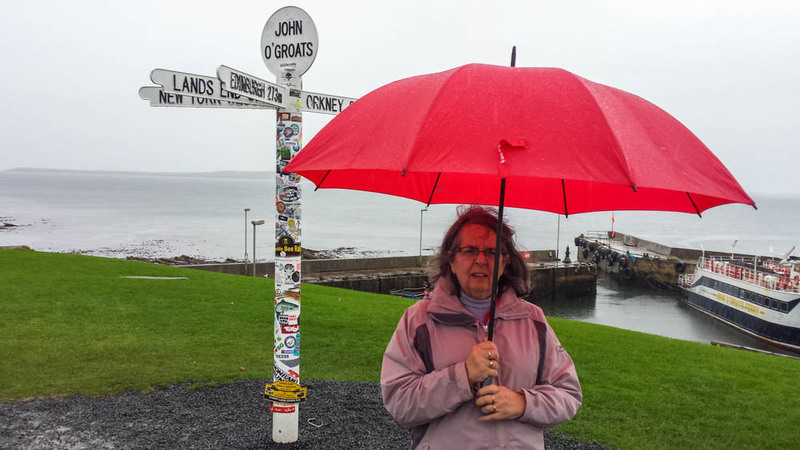 John O’Groats is highly developed, and a bit tatty. We stopped only long enough to take the obligatory photograph beside the sign post, then headed south, with no inclination to hang around in the wet weather. 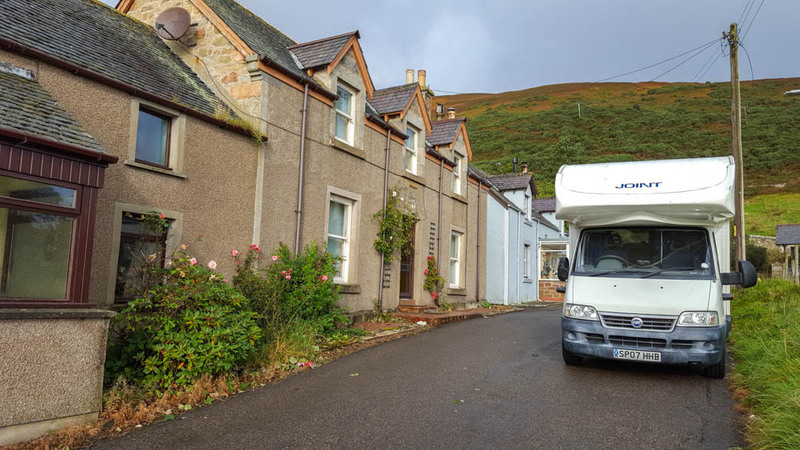 We decided we would head for the caravan site at Brora, then return home the next day, a couple of days earlier than we had originally planned. The drive through Caithness was a bit boring, but by the time we were past Wick and entered the county of Sutherland again, the scenery became more interesting with views over the sea, steep climbs at places like the Berrydale Braes near Helmsdale and memories of Lindsay and Kelly’s wedding at Dunbeath Castle which stood dramatically on the cliff top, easily seen from the road. With the rain still pouring down, we called in to Portgower, a tiny village just south of Helmsdale to visit Adam and Ina. In the end we accepted their offer of hospitality and spent a lovely time with them, our van parked outside their door and us tucked up cosy in their guest room bed after an impromptu but magnificent meal. Ina is a wonderful cook! There are more pictures of our road trip along the NC 500 on my Flickr page.